Unfinished business. The itch it couldn't scratch. Call it what you will, but it has applied to F1 in America for much of the sport's history. The world's largest economy, sports mad and likely unparalleled in its attachment to the automobile, plus that F1 purports to have a world championship. But somehow it never added up to the sport pitching a tent Stateside that wouldn't fall down with the slightest gust of wind. Demonstrating as much there have been no fewer than ten separate US hosts in F1 history (no other country gets close to that total). Some of those hosts have been cringe-worthy too, and for conspicuous stretches there was no US round at all. A few in this current case of Austin expected one or both of these to manifest once again as a few non-encouraging noises came out of the area in advance – the promoter and management company fell out and the project was put into suspended animation for a while. There was a touch of paradise lost about it all too. F1 contrary to some presumptions did previously get it right in the States, with well-established and popular rounds at Watkins Glen and Long Beach. But both were lost in the early 1980s – Watkins Glen down to fate as the track run out of money; Long Beach down mainly to Bernie playing hardball over the financial terms. But when everyone arrived in Austin for the first time in 2012 the doom-mongers simply could not have been more wrong. The warmth of the welcome stunned, with most struggling to recall a host anywhere anytime that had so embraced an F1 event. Even Adelaide possibly was pipped. The Circuit of the Americas facility is excellent and the crowds have been excellent too, though last year there were concerns that the re-establishment of the Mexican round would have a downward impact. 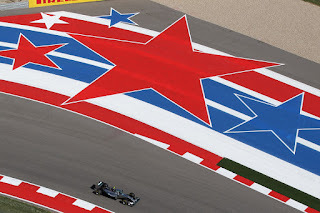 Hermann Tilke-designed tracks tend to have a fingerprint, and the influence on the Austin circuit layout is clearer than most. The uphill start-finish straight ending with a tight turn is lifted from the Red Bull Ring, the esses session is reminiscent of Suzuka or Silverstone, the lengthy multi-apex turn towards the end of the lap is inspired by Istanbul Park's turn 8, while a few of the other late lap bends are akin to Hockenheim's stadium section. An upshot of this peripatetic creation is that the layout has a bit-of-everything quality – indeed as James Allen has pointed out it has somehow more corners at over 250km/h than Spa and more below 100km/h than the Hungaroring. Still the track itself is about as popular as everything that surrounds it, and even with it being new-fangled its closest cousins in terms of its demands are in fact Silverstone and Suzuka, two flowing old school tracks. Tilke excelled himself this time. 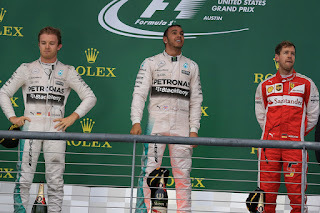 As we head into this Austin weekend of course in the drivers' title race Lewis Hamilton now needs snooker; even winning all four remaining rounds might not be enough as his Mercedes team mate Nico Rosberg could follow him home everywhere and still clinch the crown. Then again Merc has had a grand total of four one-two finishes this season, so it's one of those scenarios that is much easier framed on paper than in practice. Yet whatever it feels like Lewis simply must strike back to some extent this weekend if he is to have a chance, and fortunately for him it's a good place to do so. He's won three of F1's four Austin races, in each putting in a race winning pass on track (though last year Nico of course blamed a gust of wind for Lewis being able to vault him). 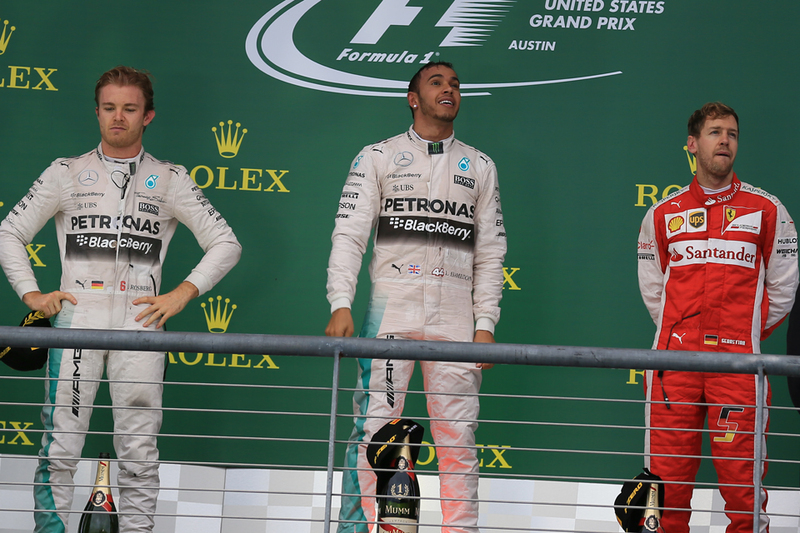 Coincidentally or not, throughout a US weekend Lewis tends to beam. As is the case with every track we visit for the season's remainder though only Nico has won pole position here in the hybrid era, plus last year he was excellent until his late slip. Moreover Nico's rather made a habit of confounding us in recent weeks. He hardly could go to Austin in a more different mood to when he left 12 months ago – then with his stony face, cap-tossing and all. Red Bull may be in a position to irritate the Mercs. The wide variety of corners is good news for the RB12, as is that there are softer tyre compounds available than in Suzuka last time out. It remains to be seen too whether Merc's engine reliability worries continue and as in Japan runs in a rather conservative mode, letting others get closer. Max Verstappen of course has been in brilliant form lately. Then there is Ferrari which actually looked in better shape on pace in Japan than before and ahead of the Bulls indeed, though penalties for both drivers deprived it of its second row won in qualifying (and rumours of an engine penalty for Kimi Raikkonen for this weekend linger). One suspects that the red cars could look quick here, though that in the theme of the season the Scuderia may do something or other to trod on its own tail. As in Suzuka strategy is likely to be variable and the undercut powerful, which may show up the team's pit-call woes. Of the rest there will be a few eyes on Haas, and not only as it's the team home gig. In Japan it surprised everyone with its pace, which some thought might be down to not overheating its tyres on a long lap with plenty of quick stuff – which if so will be rewarded in Austin too. Team Principal Gunther Steiner reckoned the performance owed to a new front wing and a largely uninterrupted Friday (for once, he said) that allowed the team to get onto the bottom rungs of the set-up ladder. 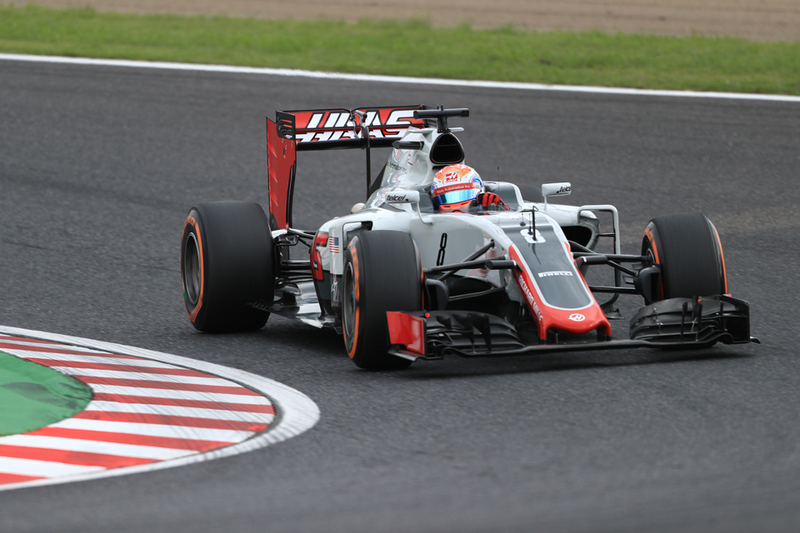 Romain Grosjean even spoke of a return to the team's haughty early-season form. How might Haas do at home? Fernando Alonso in Monza cited Austin as a remaining round that he thought McLaren could go well in, but he cited Suzuka then too and we saw how that one turned out. 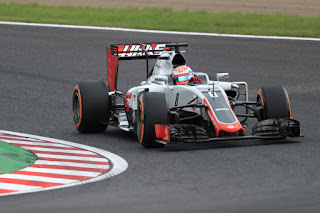 Jenson Button said during the Japan gathering that the car struggles in high speed changes of direction, and as noted there are esses in Austin redolent of Suzuka's sweeps. Nevertheless the car's aero efficiency may serve it well here. In relatively bad news for Mercedes the Pirelli compound selection appears aggressive. As it often chooses the additional compound selected this year is one softer than before, and thus the supersoft appears in Austin for the first time. 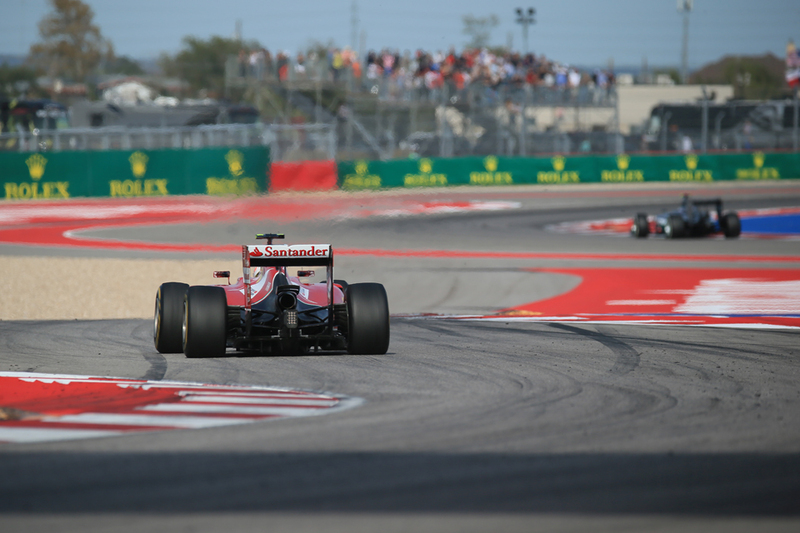 It's quite a shift all in – just three seasons ago the medium and hard were the tyres available for this one. These softer compounds mean that Austin race strategy may be rather on the hoof depending on the degradation, as was the case in Suzuka. As in Suzuka too the undercut is powerful here as noted and proactive approaches often are rewarded. Two stops will be the aim for most, and last year both Verstappen and Alonso did half the race on a set of softs suggesting teams will have plenty of options. Another challenge here is that the weather and temperatures can vary quite wildly – and of course it was very wild last season – and when temperatures drop tyre behaviour and warm up can become incredibly knife-edge. Long-range forecasts at the time of writing suggest it'll be dry and warm this time though.